A leading decorative painter uses her one-stroke painting method to demonstrate how to create a wide range of colorful borders for every room in the house, as well as a variety of intriguing patterns for furniture and accessories. Original. 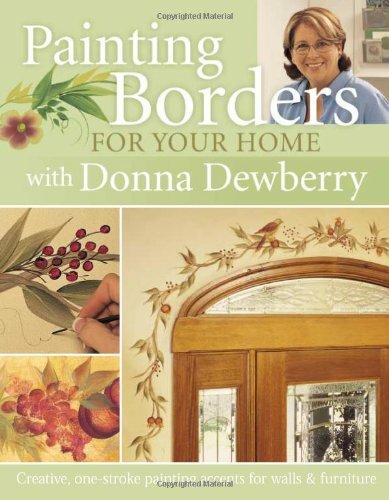 Donna Dewberry is the most successful decorative painter ever. She has done ten books for North Light since 1998. She is contracted through 2007 with PBS stations nationwide for her program One-Stroke Painting with Donna Dewberry and is also a biweekly presenter on the Home Shopping Network and America's Store. Her designs are licensed for home decor fabrics, wallpapers, quilts, embroidery, etc.